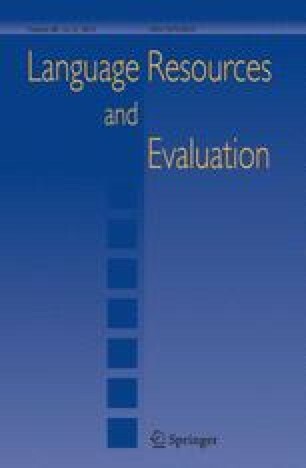 This work studies the usefulness of syntactic information in the context of automatic dialogue act recognition in Czech. Several pieces of evidence are presented in this work that support our claim that syntax might bring valuable information for dialogue act recognition. In particular, a parallel is drawn with the related domain of automatic punctuation generation and a set of syntactic features derived from a deep parse tree is further proposed and successfully used in a Czech dialogue act recognition system based on conditional random fields. We finally discuss the possible reasons why so few works have exploited this type of information before and propose future research directions to further progress in this area. This work has been partly supported by the European Regional Development Fund (ERDF), project “NTIS—New Technologies for Information Society”, European Centre of Excellence, CZ.1.05/1.1.00/02.0090. We would like also to thank Ms. Michala Beranová for some implementation work. Allen, J., & Core, M. (1997). Draft of DAMSL: Dialog act markup in several layers. http://www.cs.rochester.edu/research/cisd/resources/damsl/RevisedManual/RevisedManual.html. Klüwer, T., Uszkoreit, H., & Xu, F. (2010). Using syntactic and semantic based relations for dialogue act recognition. In Proceedings of the 23rd international conference on computational linguistics: Posters (COLING ’10) (pp. 570–578). Stroudsburg, PA, USA: Association for Computational Linguistics. URL: http://portal.acm.org/citation.cfm?id=1944566.1944631. Lafferty, J. D., McCallum, A., & Pereira, F. C. N. (2001). Conditional random fields: Probabilistic models for segmenting and labeling sequence data. In Proceedings of the eighteenth international conference on machine learning (ICML ’01) (pp. 282–289). San Francisco, CA: Morgan Kaufmann. URL: http://portal.acm.org/citation.cfm?id=645530.655813.